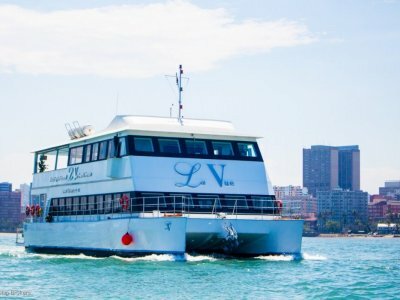 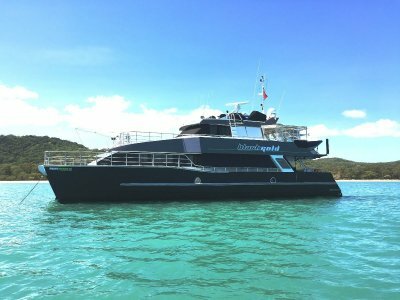 Imagine if you can, the "purrrrr" of this 72ft luxury catamaran cruiser, doing 22 knots. 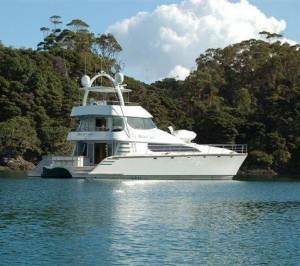 Then enjoy the relatively light use of fuel required to get her there, powered by her high tech twin 700hp 'Cats'. 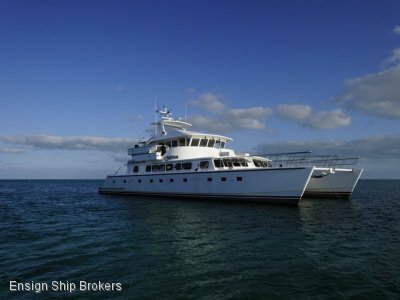 She's state of the art, built in GRP to survey spec's, launched only recently, and needing a home right now. 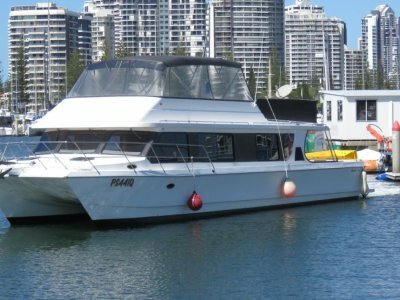 Boasting all the comfort you might desire in a quick dynamic vessel, she sleeps 15 comfortably, spread between 6 spacious cabin.